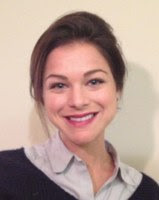 Cristin Runfola, PhD is a Clinical Assistant Professor and Global Foundation for Eating Disorders (GFED) Scholar with the UNC Center of Excellence for Eating Disorders. She oversees Embody Carolina, an organization dedicated to preparing students to serve as compassionate and effective allies to those struggling with eating disorders on the UNC campus. Dr. Runfola received her Ph.D. and M.S. in Clinical Psychology from Palo Alto University and B.A. in Psychology from San Diego State University while also receiving specialized training in eating disorders treatment and research at Stanford University and the University of San Diego, California (UCSD). She completed her pre-doctoral clinical psychology internship and T32 post-doctoral research fellowship in eating disorders at UNC-Chapel Hill. Dr. Runfola is a recipient of the APA Superior Research Award, the NIMH/AED Early Career Investigator Travel Fellowship Award, NEDA Top Fundraising Award, and UNC-CH Martin S. Wallach Award for Outstanding Clinical Psychology Intern of the Year. She was inducted into the Order of the Chocolate Fish (OFC) in 2012 for her service and dedication to the UNC Center of Excellence for Eating Disorders. She is engaged in advocacy, holds leadership positions within the Academy for Eating Disorders (AED), and actively blogs on the UNC Exchanges site.